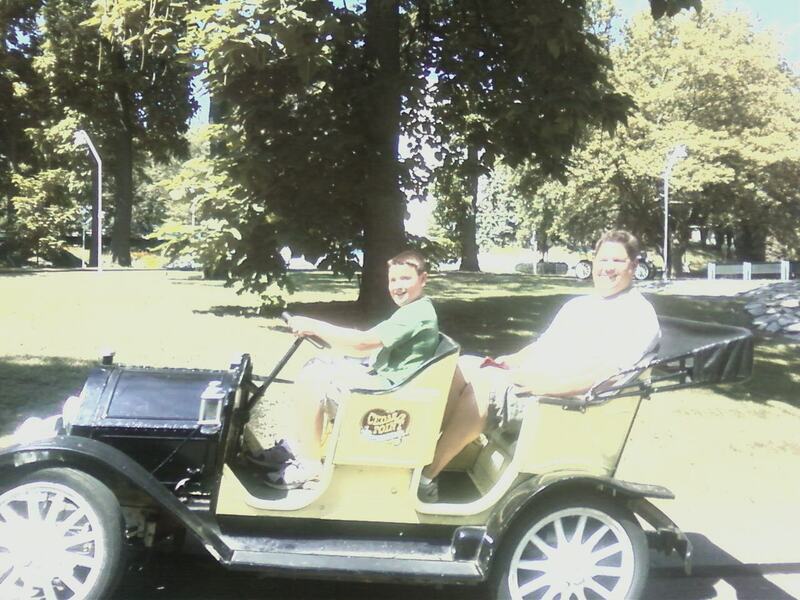 We are determined to sneak in some summer fun as a family this week before the kids head back to school. 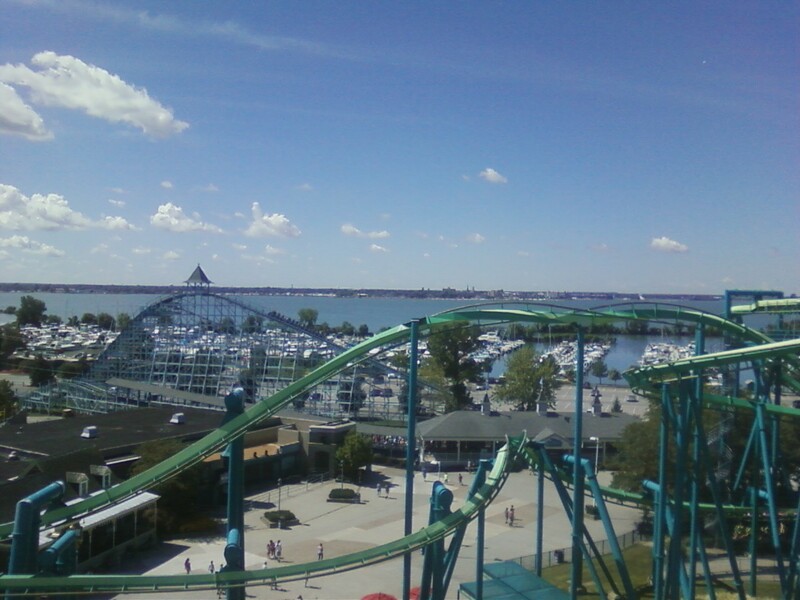 So, we made a trip to Cedar Point in Sandusky, Ohio. 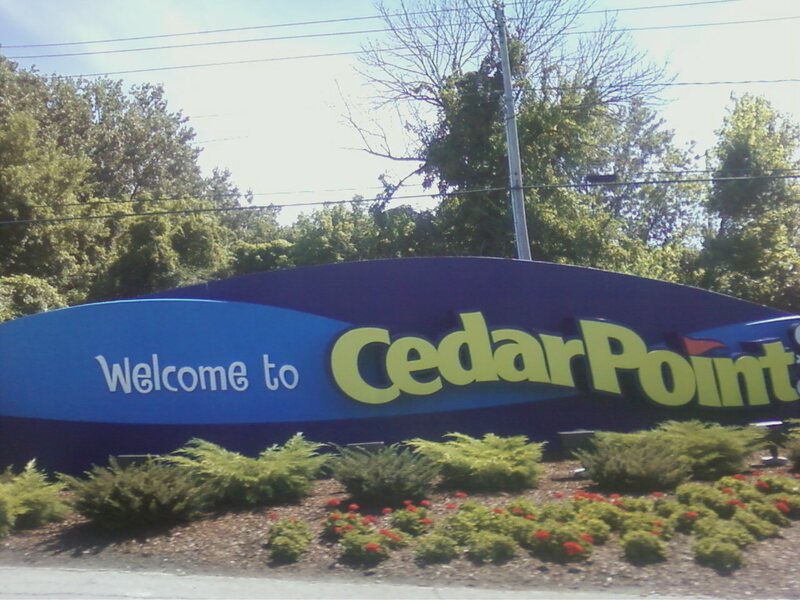 Around here, Cedar Point is BIG! 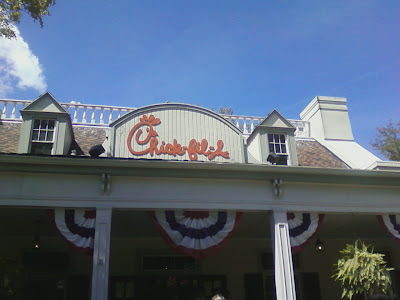 I went there virtually every year as a kid all the way through college years...and even once on a date with my now husband. 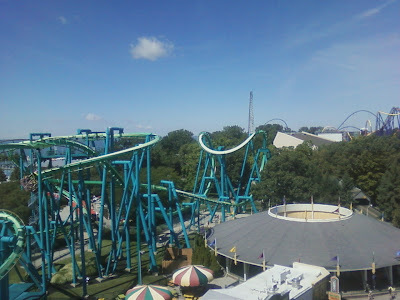 Then came marriage, careers, and having babies and not so much Cedar Point for some reason!? Cedar Point has 75 rides, including 17 roller coasters, more rides than any park in the world! 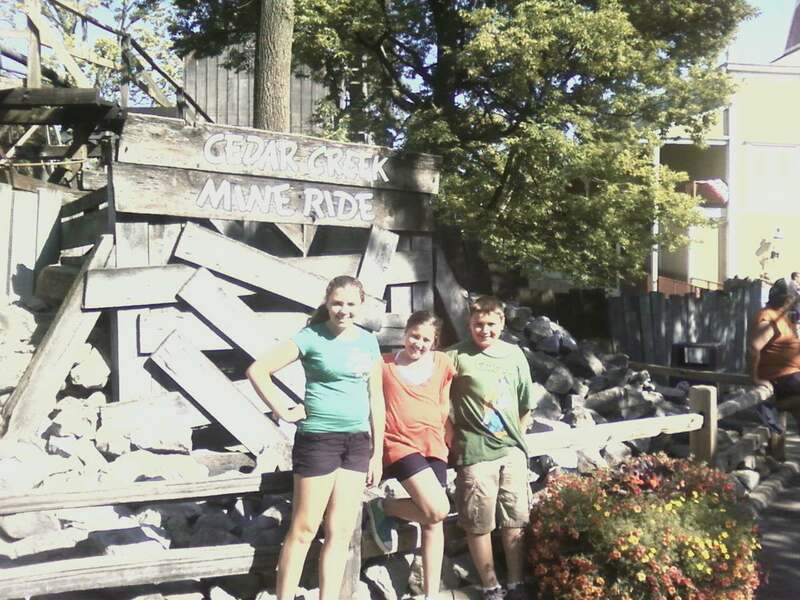 We are lucky it's just 2 hours away from us. 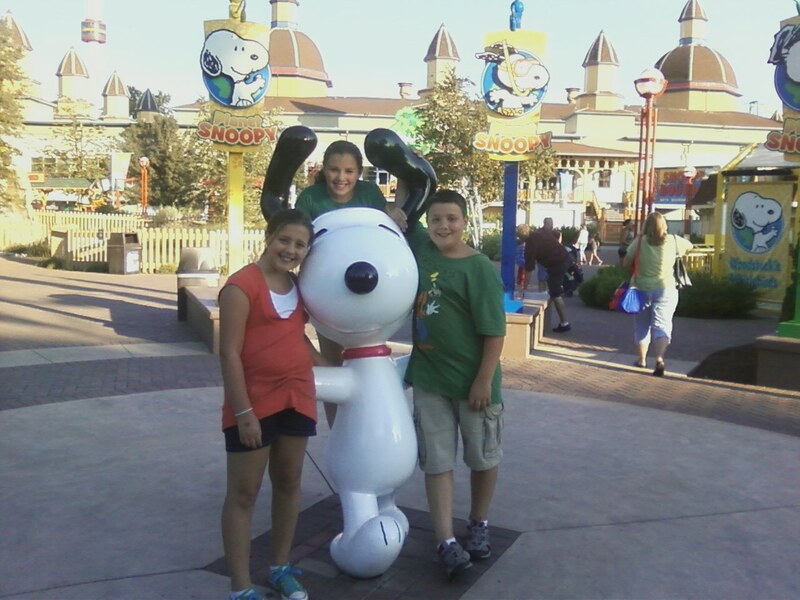 The kids actually went last year with their dad and I stayed back because we had just got our puppy ("Lucky", the goldendoodle). Megan also just went in June to Cedar Point for her 8th Grade Field Trip. 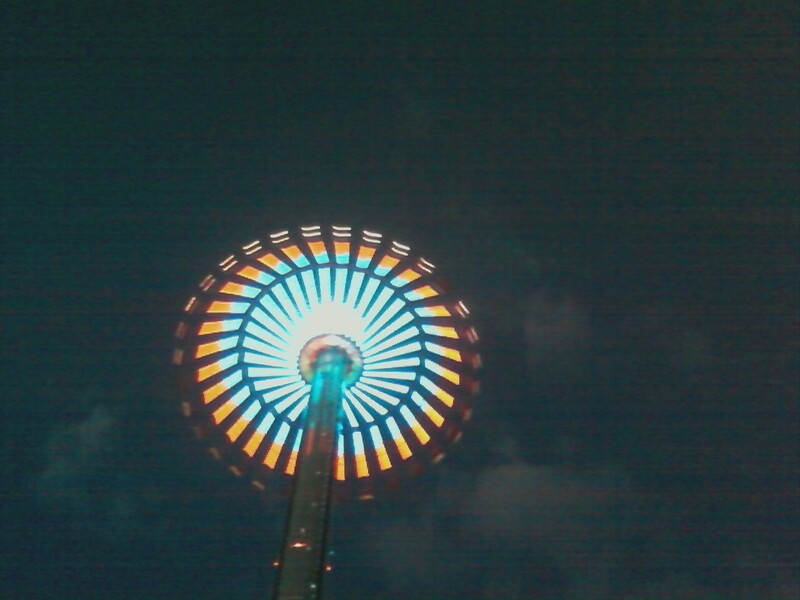 I have to say, I am a huge fan of "thrill rides" and love roller coasters, so I was excited it was my turn again! We arrived shortly after 11 am which is when the park now opens (reduced hours this time of year, which was fine with us 'cause we didn't have to leave before dawn) This picture was hard to take with my cell phone camera as we were whizzing on by! The Sky Ride is one good way of getting around and taking in some views of the park while mapping out your strategy! 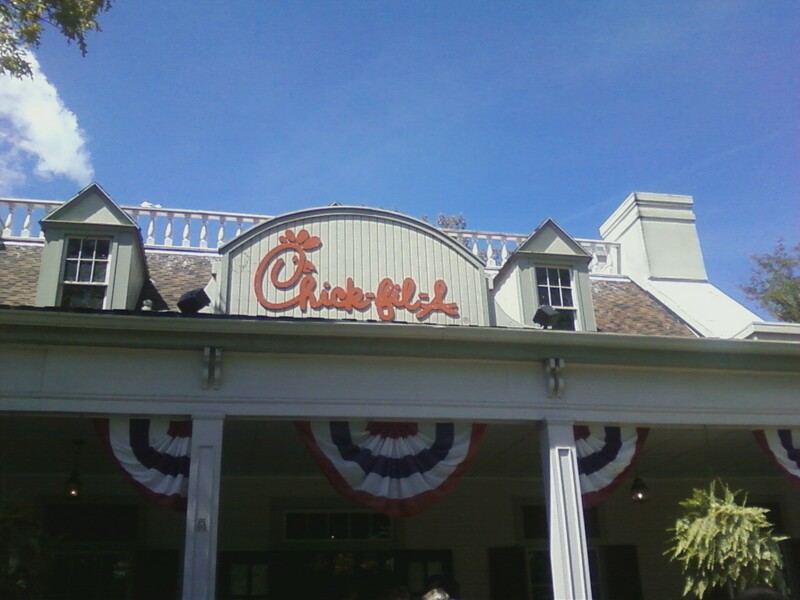 a favorite with the kids! 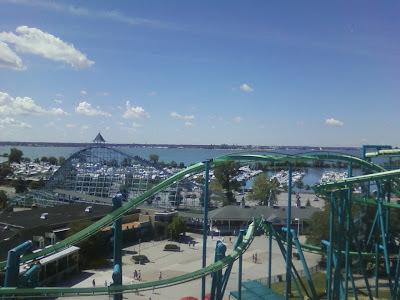 "Bordering the Cedar Point Beach, riders on the WindSeeker are treated to dramatic views of Cedar Point, Lake Erie and the Cedar Point Beach. 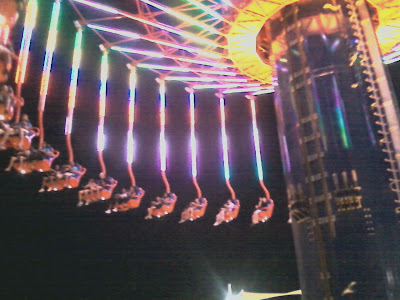 On WindSeeker, riders sit in open two-passenger swings with their feet dangling in the breeze. The swings rotate around the 30-story center column as they slowly ascend the tower. 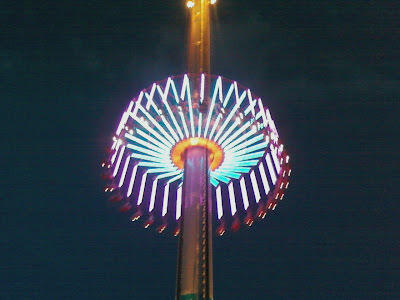 At the top, riders are nearly face-to-face with the very top of the Power Tower and almost as high as the first hill of the Millennium Force roller coaster." 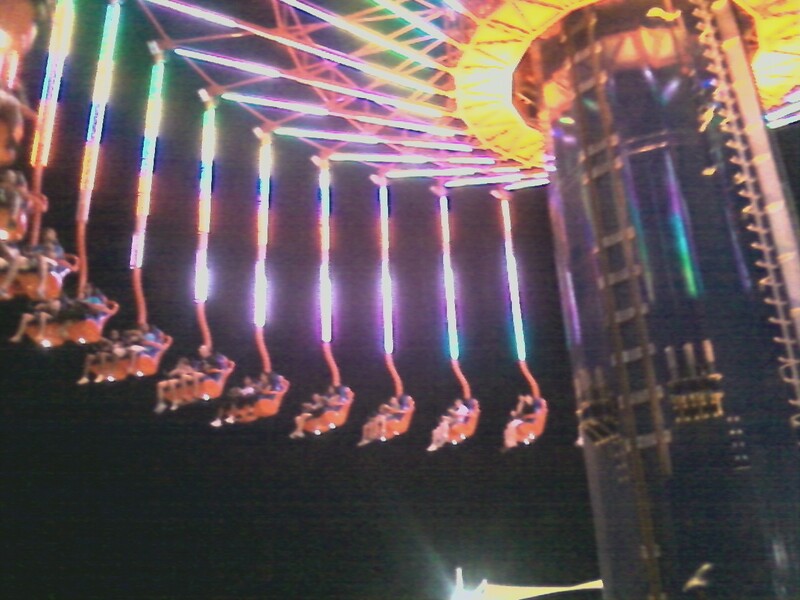 My kids are in this picture somewhere as they start to go up...!!! I rode this ride earlier in the day, before I knew about the cool lights at night! 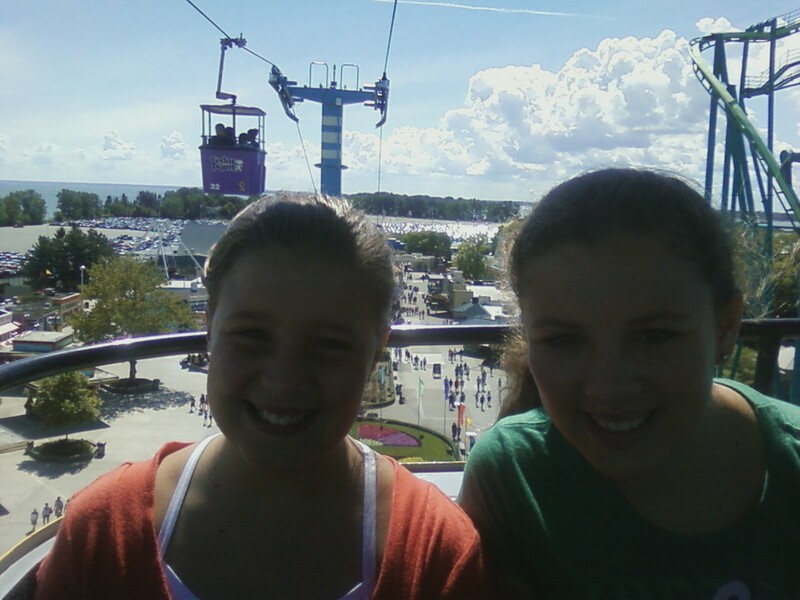 It is intense being up that high with your feet dangling over Lake Erie! 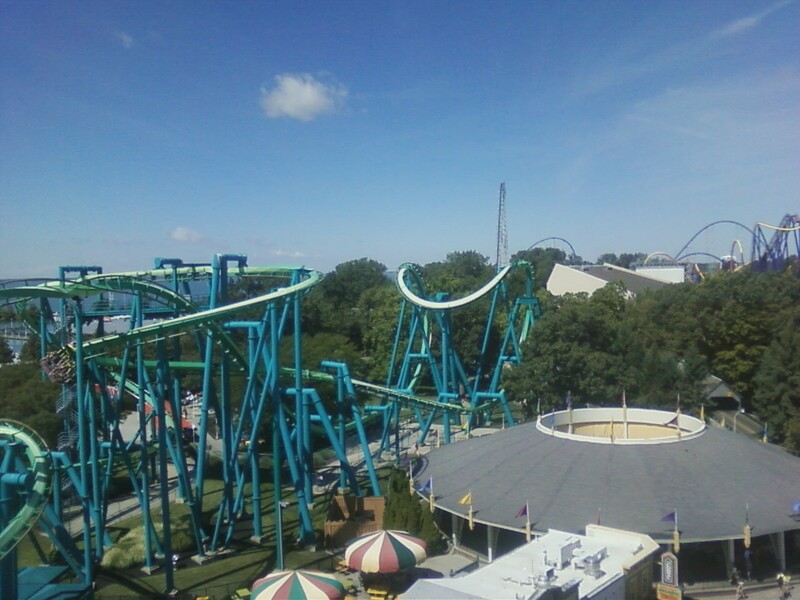 We haven't been to Cedar Point in 4 yrs.....BEST amusement park there is! 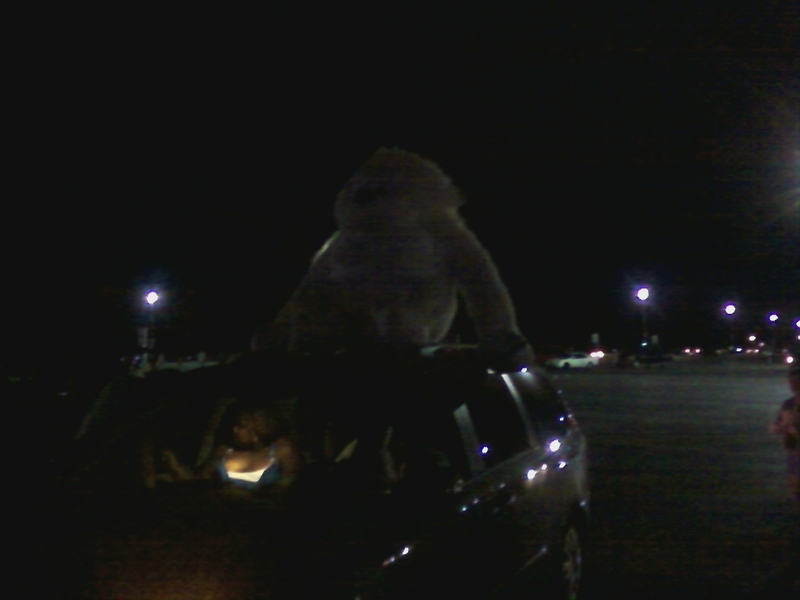 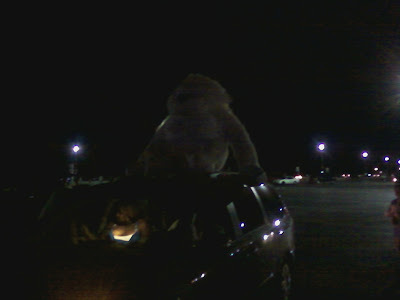 Love the gorilla on the roof of the car...I didn't think people ever really won those BIG prizes!